There’s something about beauty round ups that I completely adore, so the InStyle Best Beauty Buys of 2015 is right up my street. I mean, there’s always a reason these fabulous products make the list and it’s nice to sit down with the magazine and create a wishlist of cult buys to pick up when you’re next out shopping. 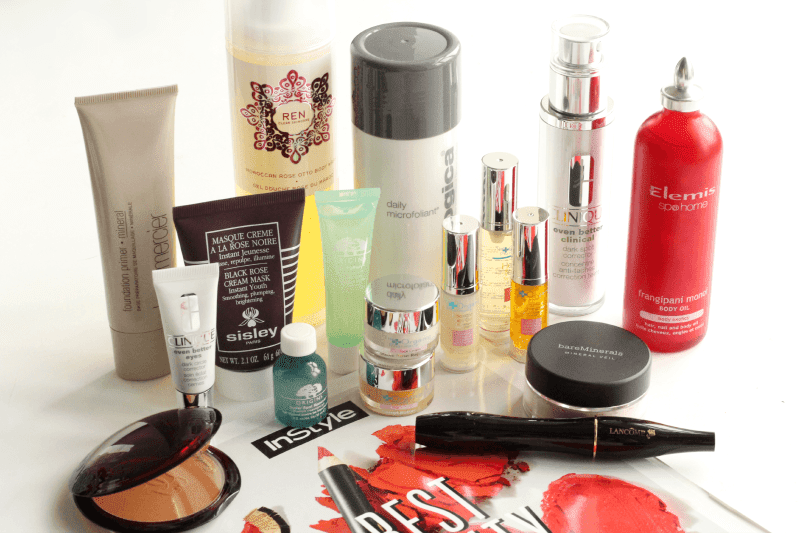 So, in today’s post I’ll briefly be going through some of the products that made the cut and boy, are they all worth it. Guerlain Terracotta Moisturising Bronzing Powder | I never used to be a one for bronzer, but sometimes the dead look just doesn’t do it for me and I need some colour on my face. This is a velvety smooth, crease free and smoothing powder that glides on and offers a nice healthy glow to the skin. Clinique Even Better Eyes Dark Circle Corrector | You’ve probably heard me go on about my dark circles a thousand times, but they really are my biggest enemy. I’m excited to get to grips with this eye cream in the hopes that it brightens the whole eye area. Will report back! Laura Mercier Mineral Foundation Primer | I absolutely adore LM foundation primers and have used them for years (as a tube literally lasts forever). I usually use the oil free one, so we’ll see how the mineral version compares. No doubt it’ll still be amazing. Origins Super Spot Remover | I’ve wanted to try this for months and months, so glad it was included in the InStyle list! I don’t have any particularly bad spots right now, but will test it as soon as a bad boy pops up. Sisley Black Rose Cream Mask | The product I am the most excited to use as I’ve wanted to get into Sisley products for years! I’ve heard amazing things about this mask, which is supposed to plump, revitalise, hydrate, smooth and soften. Brb, gonna smother my face in it. REN Moroccan Rose Otto Body Wash | You know how much I love REN, right? Their rose products are such a dream to use, as they have a gorgeously light fragrance and this one is no exception. I’m actually looking forward to my current shower gel running out so I can start on this one! Origins No Puffery Cooling Mask | I’m not one for puffy eyes, but they do get dry and irritated with me sitting on a computer all day (and night), so it’s nice to know I now have this in my stash to sooth everything and restore my peepers when they’re not feeling so great. Clinique Even Better Clinical Dark Spot Corrector | Another one I’m oh so excited to use as I’m on an endless quest for even skin. I’ll definitely do a full review on this one as I’ve wanted to try it for a while and am looking forward to seeing if it’ll made a difference! bareMinerals Mineral Veil Finishing Powder | A brand I’ve heard of but not yet tried, so this silky looking powder was happily welcomed into my makeup family. It seems to have a bit of radiance to it, so I’ll be dusting it on for a healthy glow. Lancome Hypnose Mascara | I really rate Lancome mascaras, so am looking forward to giving this one a go. It’s supposed to add 6x more volume, so we’ll see if it lives up to the hype as I am quite the volume connoisseur. Organic Pharmacy Discovery Kit | Aaand finally, a brand I know very little about but am definitely up for trying! You get their butter cleanser, herbal toner, antioxidant gel and firming serum, rose face cream and a organic muslin cloth all in one handy kit. It looks so luxurious, so will swap up my routine for this very soon! 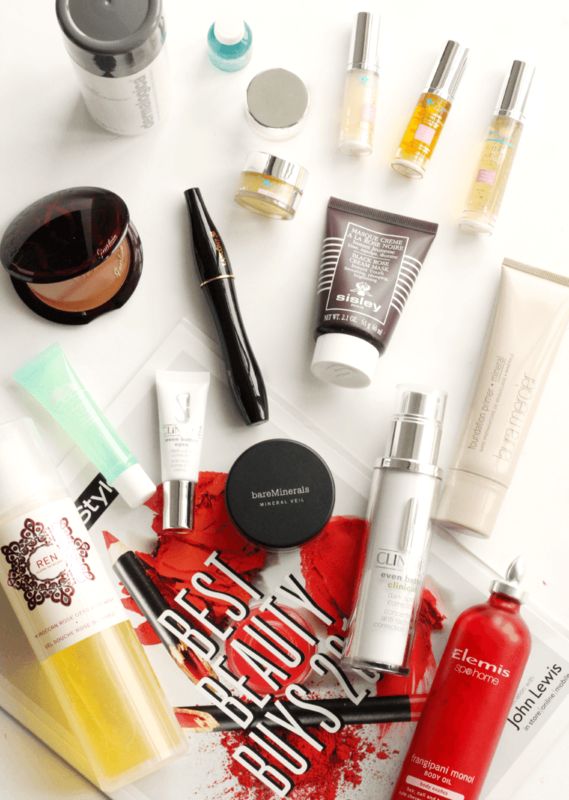 So, that’s just a small selection of the amazing beauty buys for 2015 from InStyle (and John Lewis!) so you’ll have to pick up the magazine to see the rest!